"I’ve only just started using this drill. It was to replace my makita 8406c which served me well for seven years. I went with the Milwaukee because the makita clutch kicks in a lot and the core bit gets stuck in the masonry. That’s what it’s supposed to do of course but I’m giving the Milwaukee a try to see if it performs any better. The makita is a good drill, I’ve had two of them over the years and they are used regularly,mostly to cut hole from 50mm for waste pipes to mm for soil pipes 127. So far the Milwaukee is performing well but has got stuck a few times. 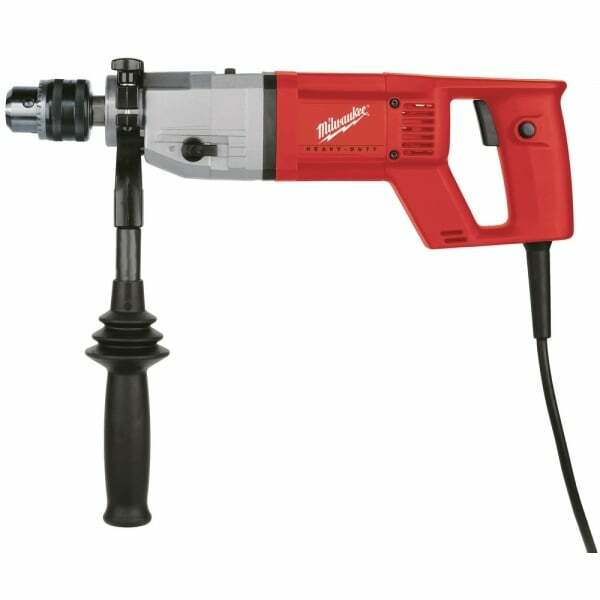 It’s to soon to say which is the better drill." "Excellent piece of kit! !,previously used makita 900w core,and work safe 1600w drills and the Milwaukee is faster cutting and much smoother.As an electrician I have drilled hundreds of 4 inch holes and so far this drill seems to coping really well only time will tell!"